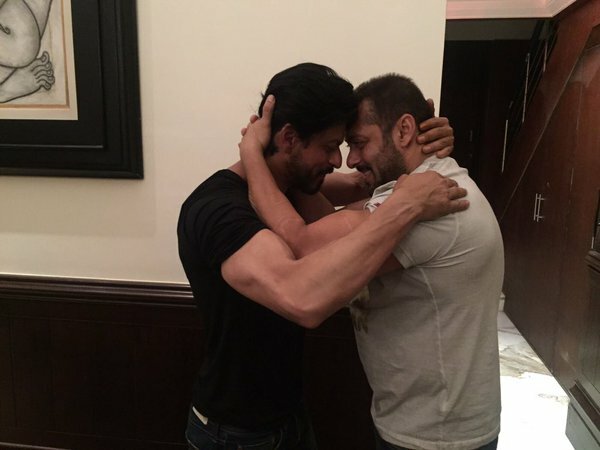 Two of the film industry's best loved Khans, Salman and Shah Rukh, publicly put an end to their almost five-year long animosity at Baba Siddiqui iftaar party in 2013. The two actors have been more than just cordial with each other ever since. While Shah Rukh Khan took to Twitter to launch the first look of Salman Khan's Bajrangi Bhaijaan, the latter has agreed to attach the theatrical trailer of SRK's Dilwale to the prints of Prem Ratan Dhan Payo. At the King Khan's grand birthday celebration on 2 November, Shah Rukh spoke about the Bajrangi Bhaijaan actor. "Salman is a stud, very cool guy and a superstar. I love him and I wish even his kid's take his name forward," he said. 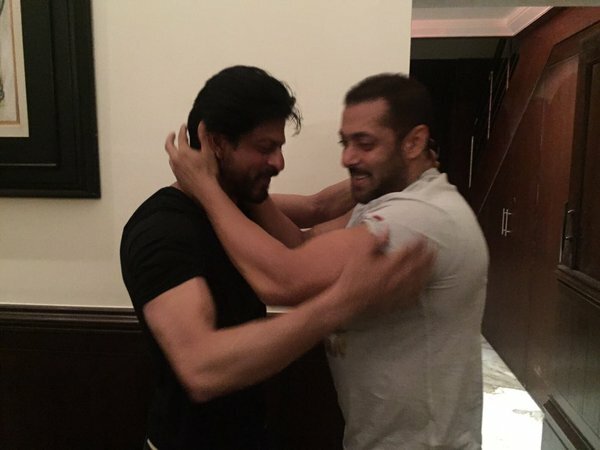 After SRK's birthday bash with the media and fans, the birthday boy had a special guest, Salman Khan. 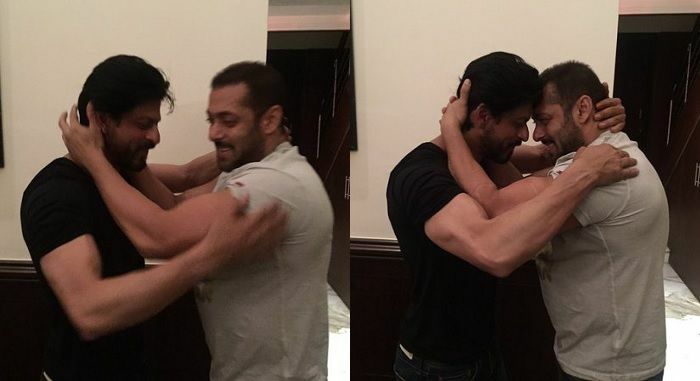 And going by the pictures posted by Shah Rukh Khan on Twitter, the two seemed to have had a fun evening.